The Triumph GT6 was a fastback 2+2 version of the diminutive Spitfire convertible, but it got the bigger overhead valve inline-6 from the TR6 and a Giovanni Michelotti designed roof. It was once the one of the undervalued heroes of the classic sports car world and offers a good combination of exotic looks, minimized weight, "big" engine, and low seating position in a classic 2-seat fastback shape, but values have been creeping upwards. 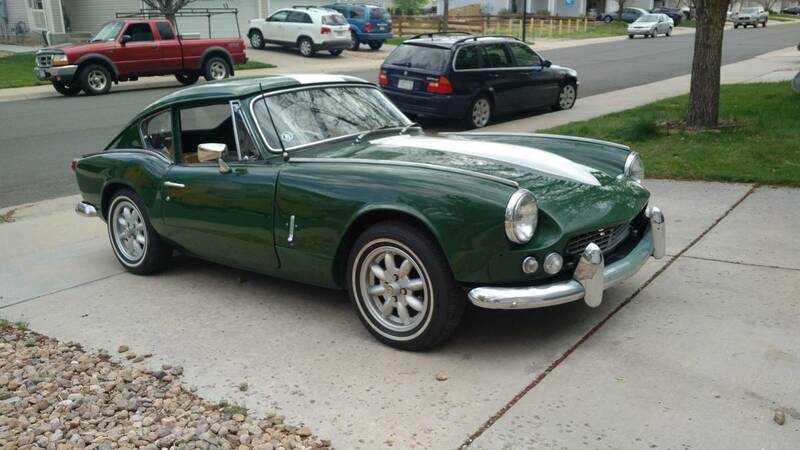 Find this 1968 Triumph GT6 offered for $12,000 in Englewood, CO via craigslist. Tip from Zach Z. The Triumph GT6 started life as an attempt by Triumph's racing program to gain speed advantages on the long straights of Le Mans - and it was successful with a Spitfire modified to GT6 fastback shape winning first in its class in the 1965 24 Hours of Le Mans. The GT6 is powered by Triumph's over-head valve inline-6 that displaces 2.0 liters and puts out 104 horsepower. The GT6 isn't a fast car in today's overpowered minivan traffic, but it was fast in comparison to the small displacement inline-4 powered Triumphs, Austins and MGs of the day. 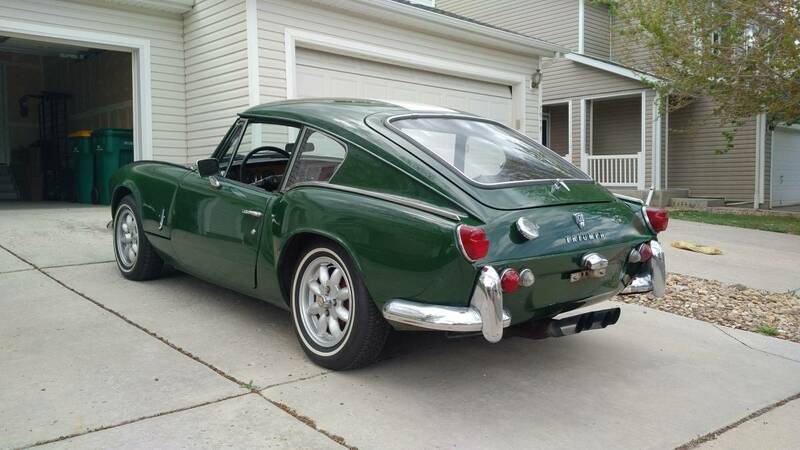 Just sayin', as a Triumph pedantic, the 2.0L I6 in the GT6 is not the same engine as the TR6 2.5L I6 engine. 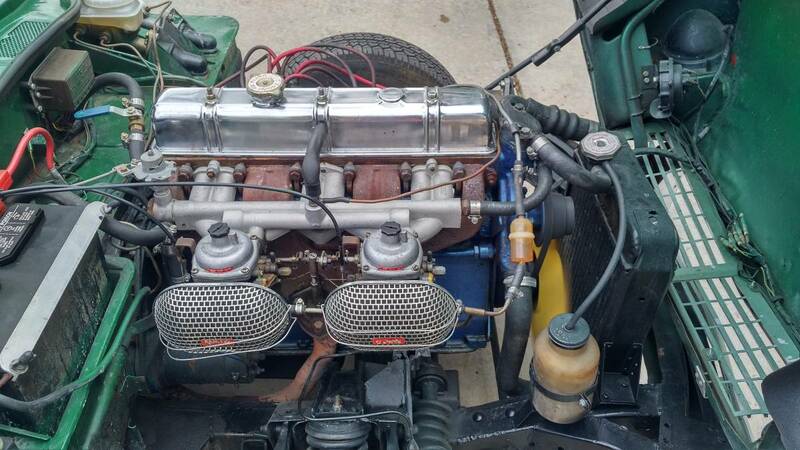 The GT6 shares the engine and a lot of other bits with the Vitesse not the TR6 , although you can build a TR6 spec engine using a GT6 block if you want build a cheater engine. Man that is sweet...what are these really worth today? I know nothing about GT 6 values but always liked them. Hagerty has a #3 at $5,800 and a #2 at $11,800 if you believe in such things. The pricing for this one seems fair to me - the respray isn't perfect as seen by the overspray on the back of the grille in the hood-up photo, but somewhere between 8-15k for a GT6 in good condition, esp with the various upgrades here, seems fair. Biggest potential downside here is the earlier rear suspension setup with the swing-spring axle. Still, high on the fun/dollar scale.